Severe thunderstorms can strike up any moment and when it does, there is a major upheaval that takes place. Recently a nasty thunderstorm has struck the Twin Cities of Minnesota and the metro areas of the cities were highly affected. The roof is one of the most vulnerable things that gets affected during a storm. So, a reliable roofing company which also strongly acts as a storm damage restoration in terms of roofing is the need of the hour after a severe storm strikes in. Snap Construction Inc. is a specialist company in roofing, windows, siding, remodeling and insulation. This company is focused on customer service and particularly strives to extend the best customer service to its large base of customers. 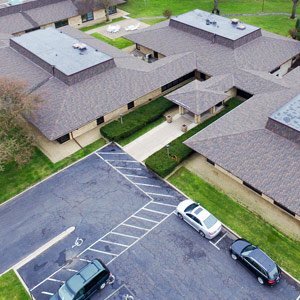 The company has been built under the expertise of several experienced people from the industry and this company has been tagged as one of the best roofing company Moundsview. The company specializes on the storm restoration and replacement. This company believes in offering the highest quality products at affordable prices. For this specific reason, the company has earned a large customer base over the years. The company firmly believes in providing the most professional service and at its highest caliber. The company does the right thing through right standards which maintains its equity in the market. Snap Construction Inc. is a very popular company which acts on storm restoration of the damaged roofing after a severe thunderstorm. This company has proved to be an expert in getting insurance claims that are usually complicated. They take care of the insurance claims on the behalf of the clients and claim them from the insurance companies. The popular roofing company Moundsview has hired in-house claims specialists who have a good background from the insurance sector. These insurance specialists are available throughout the day and solve queries of the clients. The company has impeccable relationship with several insurance provider companies and this facilitates easy processing of the claims. Snap ConstructionInc. also hires specialists in storm forensics which is nothing but the study of the damages and its probable causes. The company also believes in preaching some continued education that helps the employees of the company to remain in the cutting edge of all the new innovations and development. Our storm forensics experts have helped several clients in getting insurance claims who had been denied previously by the insurance companies to approve claims. This popular roofing company Shoreview also is an expert in dealing with various facets of exterior construction. This company is also the preferred contractor among several brands. Thus, it ensures that the clients are likely to enjoy the benefits of extended warranty which are not likely available through the other companies. The company also has the capacity of reopening claims for several new customers which is of great help to the large base of customers. Some insurance companies might not be ethical. They are always in a tendency to pay very small from their pocket in the form of claims. There are several agents in the market who claim they are the experts. The insurance companies employ such agents who look at the roof damages and tag it as not to be storm damages. Snap Construction Inc. is very ethical in their approach of doing business. They would never misguide any of their clients only with the intention of making more money from them. They handle thousands of claims with respect, courtesy and immense amount of professionalism. So, the clients highly benefit from Snap’s highly educated and sensible staffs. Snap Construction has exercised the concept of building now and paying later. This company is believed to be a highly liquid company which do not suggest the clients to keep on waiting till the insurance checks are processed. The company prefers to start the project then and there immediately and eventually the payment has to be done when the insurance check realizes. So, no finance or interest charge is applicable. As this company maintains very amicable relationship with most of the insurance companies, these companies also prefer to work on Snap’s advantage. Snap Construction Inc. is a major roofing company Moundsview which has also got major expertise in remodeling. The company has also got several connects in the market and they can avail a financing program for their clients that is customized and works best for the client. This is also one of the very first construction companies which confidently guarantees their craftsmanship for the entire lifetime. The products used in the renovation is of superior quality and ensures guaranteed customer satisfaction. And to add an icing on the cake, all the services are affordable. Also, the company provides loan to its clients who have budget constraints and cash crunches. After the severe thunderstorm struck the Twin Cities of Minnesota Twin Cities and the metro areas of the cities recently, there are several roofs which have been damaged after this storm. So, the property owners are desperately looking forward for the best roofing companies in town who can genuinely help them in getting their roofs into right condition by providing the restoration and renovation services. The best part is that Snap Construction Inc. is also a specialist in dealing with the insurance companies and get the claims on behalf of their clients. Overall it can be concluded that Snap Construction Inc. has evolved out to be a commercial and domestic remodeling expert in the Minneapolis metro. 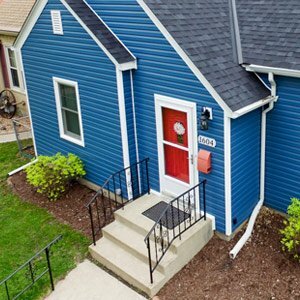 The company has helped several folks in renovating their roofs, windows, doors, insulation, siding and also the big and small scale energy efficiency projects. Their services has been unparalleled when it comes to restoration of insurance. Whether your home has suffered a damage due to flood, wind, thunderstorm, hail, fire or tornados, the abled team at Snap is always there for the restoration services after these casualties and improve the conditions of the damaged parts considerably to a large extent. The long list of satisfied customers of the company reveals the company’s popularity and good will in the market of Minnesota Twin Cities.